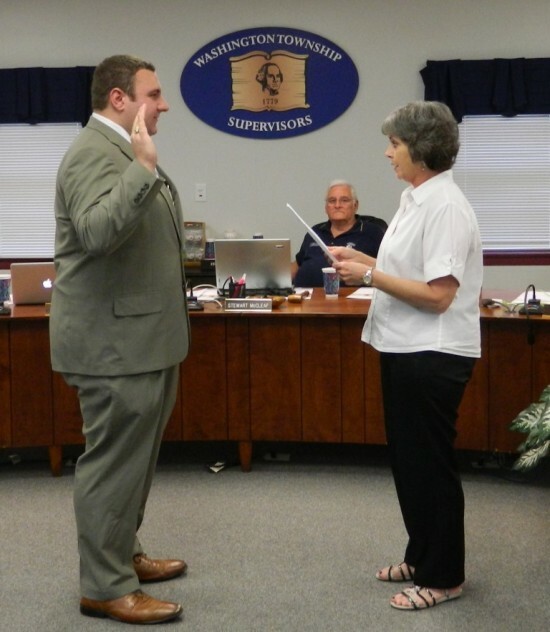 Chad Reichard being sworn in as the new Township Supervisor by Karen Hargrave, Township Secretary. 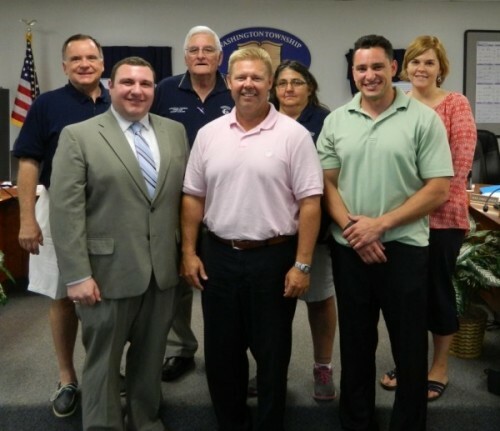 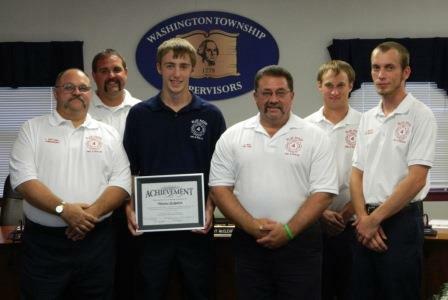 L to R: Supervisors Chad Reichard and William Conrad, Micah Sutphin, Stewart McCleaf, Chairman, Barb McCracken, Supervisor & Jim Meek, Fire Chief. 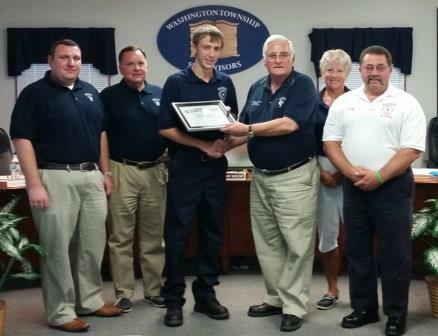 Micah Sutphin receives award for completing the 2015 Franklin County Junior Firefighter Training Boot Camp. 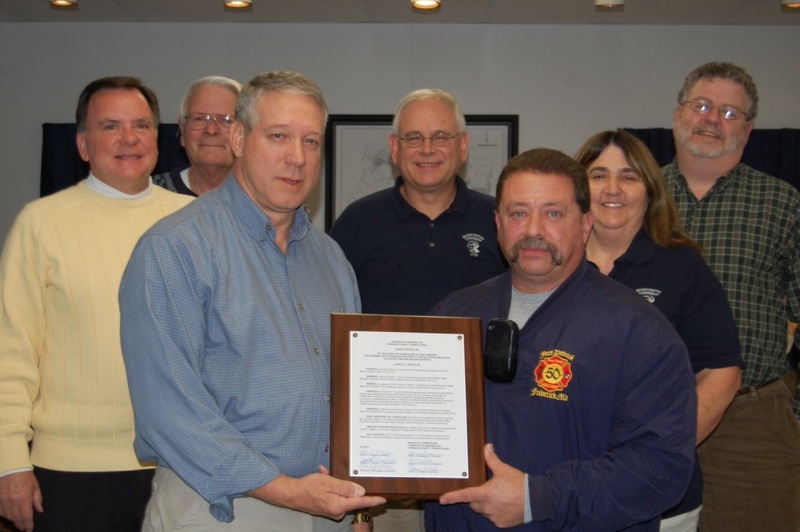 commending him for his 18 years as fire chief of the Blue Ridge Fire and Rescue Squad.